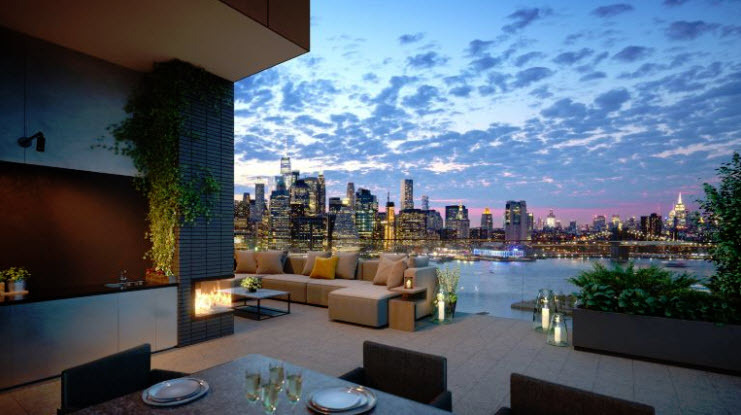 This 7,433 square foot penthouse at Quay Towers in Brooklyn Heights is under contract for $20 million, which would mark the highest sale in borough history. The current record is held by a Cobble Hill townhouse that went for $15.5 million in 2015. One of only two buildings in Brooklyn Bridge Park, the 30-story Quay Towers offers perhaps the best view you can find of lower Manhattan. The 5 bedroom, 5 1/2 bath unit is actually a combination of two units with 1.179 square feet of terrace space. The sale is scheduled to take place next July. Amazon HQ2 – Is NYC Still in the Running?